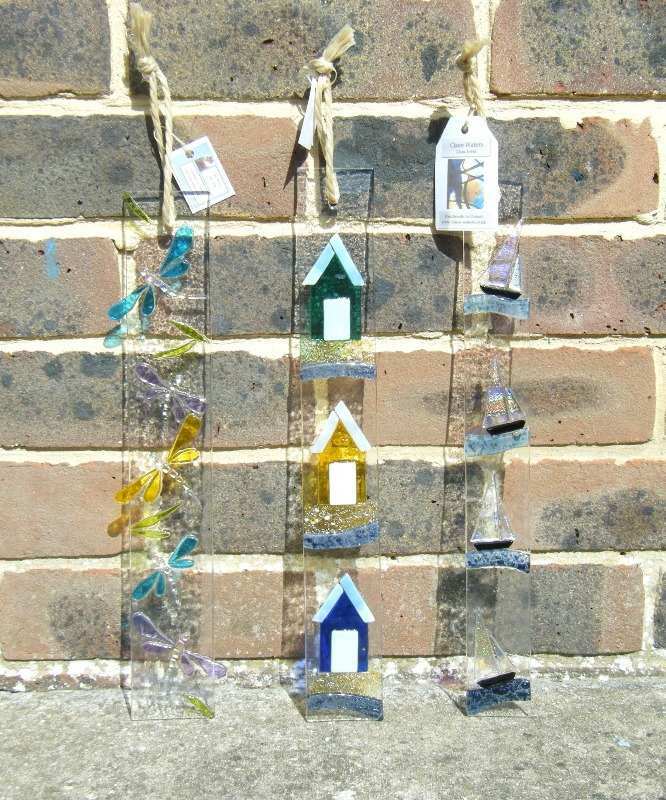 Dorset artists Claire Waters specialises in fused glass. 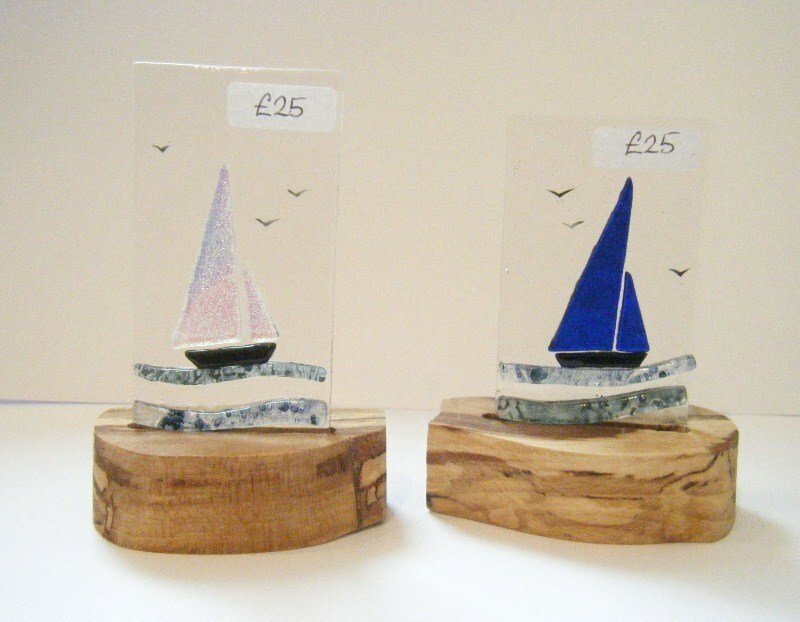 After completing a BA (Hons) in Architectural Glass at the Welsh School of Glass in Swansea Claire now works from her studio situated in a small village just outside Sherborne, Dorset producing high quality one off unique glass commission work and autonomous glass panels. Inspiration comes from the surrounding environment, Claire's fascination with natural form and naturally occurring pattern. Designs have fundamentally derived from a desire to express our relationship to nature. However, Claire's work is not about depicting actual objects from nature, or reproducing specific images or concepts, but rather about embracing the qualities of nature and creating organic 'abstract' art. Not to reproduce nature but to represent it. The process of layering glass is important, using different layers to interact with one another recreating the design. Claire likes to include different textures, areas of detail and unexpected design elements in her work in order to grab the viewers attention. She wishes to create a desire for the viewer to come closer and to lose themselves in the piece as they want to explore further. Compositionally, she looks to achieve an interaction between light, space and movement. "Through the medium of glass I am able to portray my own unique voice". 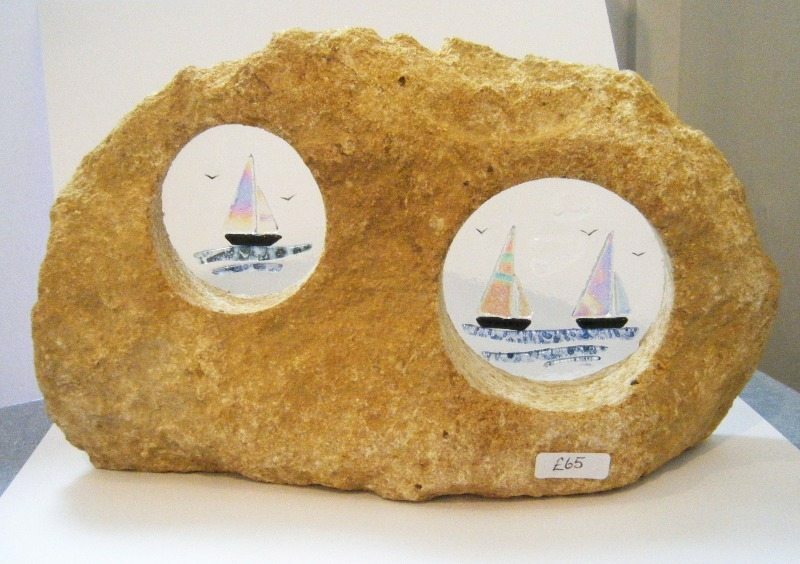 We stock a wide range of Claire's work, prices start at £15 for earrings, £25 for small glass panels on wooden stands, £30 for glass hangers, £40 for glass panels set in wood or stone. Commissions can also be undertaken, contact us for details.